Managing a blog is a tough task and truth be told, you need to make money out of it in order to ensure its sustained presence. Attracting advertisers requires a well knit strategy and you have to work relentlessly to ensure that advertisers are attuned to the blog. To attract advertisers, to your blog needs to have quality content and web traffic too. Work in your niche area only. This will result in quality content and you will be able to attract attention of readers who also hold interest in the area. This will generate web traffic for the blog. Increase in web traffic means that advertisers will have to take note of your presence in the market. As you develop your hold in the creative writing market through your blog, advertisers will be prompted to promote their ideas through your blog. Quality is the key to success here. Maintain the same by sticking to your niche. Returns in form of increased advertising revenue are guaranteed. Working through a clearly defined strategy will help. 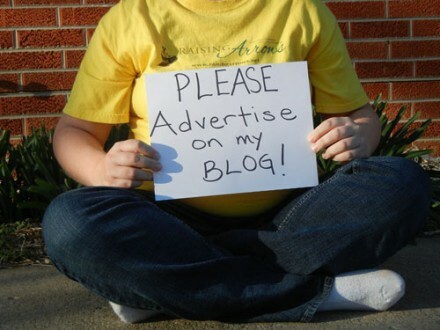 Think about the kind of advertisements, you want to have on your blog. Having a clear cut cost package for the advertisers will help and the advertisers will take you seriously. The place for having the advertisements on the blog is equally important. The advertisers need to be satisfied about the visibility of their ads. The best place for displaying the advertisement is at the top of the blog post and have a dedicated strip for the same on the right hand side of the blog. Once the advertiser is convinced that they will have a distinct presence on the blog post, advertisements will start flowing in, thus bringing additional revenue for the blog. This is another viable method of generating revenue for the blog. Apart from writing creative content in your niche area, you need to make dedicated efforts to look for advertisers. The first way of doing so is to make a Google search for advertisers. Advertisers who promote ideas similar to the concept propagated by your blog will respond immediately in case you make a concerted effort in your search. Check blogs and other posts that promote content similar to your niche area. You will notice advertisements relevant to your content idea and can approach the advertisers who will be happy to promote their advertisements through your blog. This works on two fronts as the advertisers will have increased visibility for their product and you will be able to generate the much needed revenue through these advertisements. Taking help of social media websites is a relevant idea. Search through social media websites such as Facebook and Twitter and you will find a range of advertisers who are willing to promote their advertisements through various mediums. Get in touch with them and offer them a space in your blog at competitive prices. Follow the above listed strategies and ensure your presence in the extremely competitive world of online business. Brianne is a writer/blogger. She loves writing travelling and reading books. She contributes in Homes By Vanderbuilt. Her contribution can be also found here Homes By Vanderbuilt.